ORTESOL sponsors a two day conference in the fall and a one day spring workshop with the goal of providing professional development and networking opportunities for our members. Speaker presentations from past events are available. 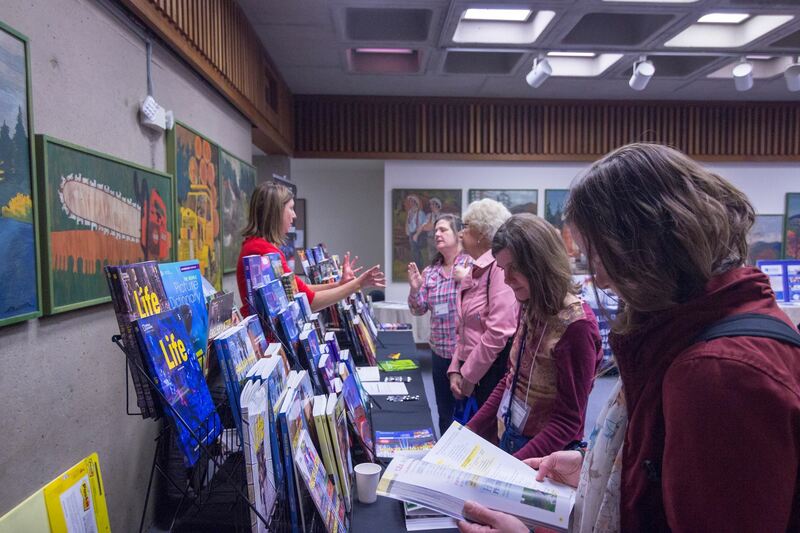 Interested in exhibiting educational materials, taking out an ad in the conference program, having a table to promote your organization, or recruit educational professionals at one of ORTESOL's events? In addition to exhibitor tables, there are many sponsorship opportunities available. To inquire about exhibiting, sponsoring or advertising with ORTESOL, please contact us at exhibitors@ortesol.org. As an English language educator, you value attending ORTESOL conferences. The current economy has caused many school districts, governments, and other organizations to carefully watch travel and education budgets. © 2018 ORTESOL - Oregon Teachers of English To Speakers of Other Languages.